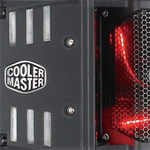 Today we are going to look at the Cooler Master Hybrid TEC cooler which combines two types of cooling, the standard air cooling and thermoelectric cooling. Will this combination prove to be a worthy option for users? Read on to find out. Thanks but no thanks. That huge and it doesn't cool any better than other smaller coolers. Not worth the pain of the install and risk damage to the mobo. The V8 on the other hand is nice. I'll take one of those instead. Though it looks great and most likely works great, I will have to stick with my Arctic Cooling Freezer 7 Pro for about $30. I don't do any major overclocking so moving up to this beast would be too much for my needs.